Bam! Here we go again. The Green Island Nationals are back. 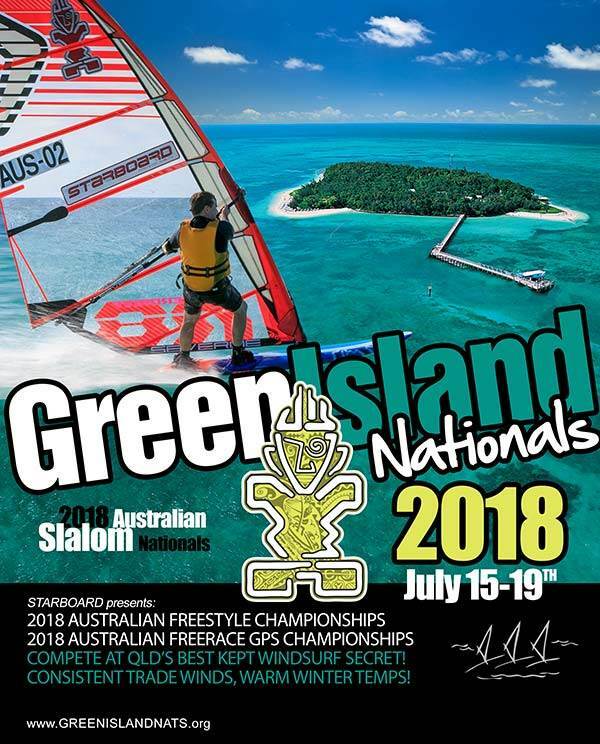 All the details and registration information can be found here www.greenislandnats.org but if you haven't been then do yourself a favour and take a serious look at going this year. It really is a premium event that is so well run and the location is spectacular. It is hard to imagine the warm, clear waters and heavy and consistent winds while you are sitting here freezing away in our mid winter but once you are there you will feel like winter doesn't exist. There is also always a lot going on after hours that adds another dimension to the trip. Five days to go, who are our Queensland reps?